Within the broad range of possible cosmetic dermatology treatments for a variety of skin conditions, patients can choose from potential solutions like Palomar fractional resurfacing and Fraxel. Both Palomar fractional resurfacing and Fraxel are modern laser energy treatments that focus specific laser technologies on tissues under the skin. 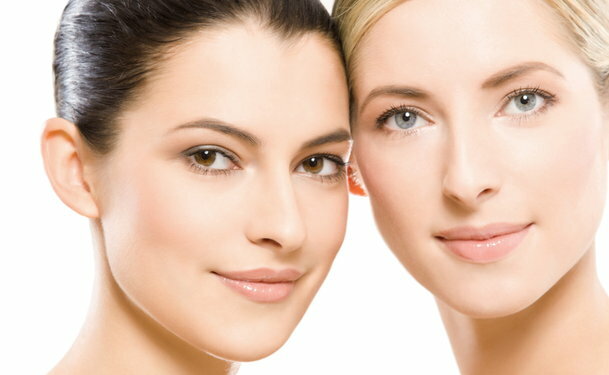 These laser treatments do not require surgical cutting or incisions, or even injections, and some patients like to rely on laser treatments to strive for various cosmetic changes to the face or other areas of the body. In a laser resurfacing procedure, the goal is to channel energy below the skin in order to promote the growth or increase of collagen and other natural materials. As these helpful elements increase, skin areas can become tighter or change tone and texture. Palomar fractional resurfacing and Fraxel are both what is known as “coagulating” technologies, which means that the directed laser energy will act as a coagulating agent for tissues underneath the skin. These tiny areas of damage will stimulate a healing process where collagen and other elements will theoretically increase. Fraxel is one of a few more established laser resurfacing treatments. 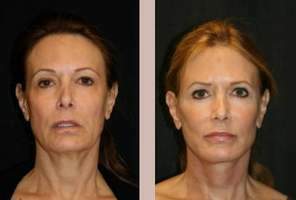 The laser resurfacing method known as Palomar fractional resurfacing is a somewhat new and modern laser therapy option. Proponents of Palomar fractional resurfacing claim that it has some inherent benefits or other kinds of laser resurfacing. One of the contended unique benefits of Palomar fractional resurfacing is the depth at which its coagulating energies can direct themselves. Some of the doctors experienced in providing Palomar fractional resurfacing to patients claim that this technology can penetrate up to 1mm under the skin, which is more than some other kinds of laser resurfacing technology. Another detail that proponents of Palomar fractional resurfacing raise with this technology is that it contains a “cooling device” that helps prevent overaggressive heating. An excess of laser energy under the skin has been an issue with some types of laser resurfacing. Most experts argue that this only happens when the doctor providing the treatment is relatively inexperienced with a particular laser therapy, but in some cases, patients have been known to experience burning that can cause negative visual results or discomfort. To avoid this kind of possible complications of laser resurfacing, talk to your doctor about the level of variable energy treatment that will be used beforehand. Opinions vary on the relative benefits of Palomar fractional resurfacing, Fraxel, or any other kind of laser resurfacing technology. Good pretreatment consultation will help patients come to an informed decision on which treatments, if any, to include in a comprehensive cosmetic dermatology plan. Ask the hard questions up front to be sure that your doctor has educated you about all of the risks and benefits of a procedure, including all of the possible complications and side effects that may result and realistic assessments of potential results. Results from these treatments vary from one patient to another, and it’s important to remember that each patient’s condition is unique and different. Doctors who provide these treatments can examine the specific overall health of a patient directly to come up with the best solutions for laser resurfacing or other care.